Whether you are one of our many existing customers or you are new to us we are sure you will be able to find something of interest from our biggest ever selection of hand-picked destinations. Our collection of great value day excursions, short breaks and luxury tours has something for everyone. We are confident we can provide you with a great time on your trip, and along with this we also offer the following incentives when you book with us. 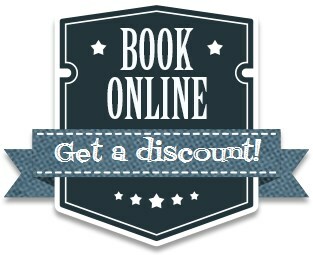 Online Booking Discount - You will be entitled to and automatically receive a discount on all on-line bookings; your discounted price will be highlighted prior to any payment being made. Loyalty Points - *All bookings will receive one loyalty point for every £1.00 you spend; your accumulated points can be redeemed as either full or part payment against any future trip that you book. Loyalty points will not be accumulated for last minute deals. We have an extensive range of superb day trips with destinations throughout the UK. You are sure to find something here to suit you. Click here to view our UK Day Trips. At CTT (Wolverhampton) Ltd our executive coaches are available for your own journeys. Whatever your travel requirements we offer a safe, reliable and comfortable journey along with competitive rates. Our drivers are smart and friendly, with a wealth of knowledge within the UK and Europe. From the moment you start to plan your journey our staff will provide the help you need to ensure everything goes to plan. Over the years we have built relationships with many clubs and organisations who travel with us regularly and come back year after year, safe in the knowledge of receiving the best customer satisfaction. Don't Forget to check our Website regularly, we are always adding new trips! !